At Oyster we have been organising paid work in Canada since 2000. Over that time, we’ve built up a fair bit of knowledge about the Canadian IEC work permit process and every year our participants are thankful for our help and advice through the process. The application process for the Canadian IEC work permit tends to change every few years. None of the systems have yet proved to be perfect, or particularly fair to everyone. The current system involves applicants, usually aged between 18-30, entering a ‘pool of candidates’. Applicants are then selected from the pool at random by Canadian Immigration to go on to make a full application for the actual work permit. There are around 30 countries whose citizens are eligible to apply for one of the IEC work permits. Each country has its own quota (agreed with the Canadian authorities). The UK, for example, has 5000 permits allocated currently and there are usually far more than 5000 people waiting for one of these in the pool. If you are Australian, you are hopefully in luck, as there is no upper limit on the number of permits available to Australian citizens! Unfortunately, we also deal with a lot of people each year who are not successful in getting paid work in Canada because they have missed out for one reason or another. I’ve put together our top 5 things you need to know about the process so that you stand the best chance of being successful and realising your dream of working in Canada on your gap year or career break. This is an important point to understand right at the outset. Oyster, nor any other company, can guarantee to get you the IEC work permit if you are a British citizen. You will be ultimately responsible for submitting your own application to Canadian Immigration and for the success, or otherwise, of that application. What we can do is to help answer any questions you have and to help guide you in what you need to do and by when. The most successful people, when it comes to getting an IEC work permit, are those who plan ahead and get into the pool of candidates as soon as it opens. This means organising yourself a good 12 months ahead of when you want to head to Canada, particularly for the winter season. For example, the pool opened in November 2017 for people looking to head to Canada in November 2018 for the 2018/19 season. Every year we get enquiries from people in September and October who are looking to travel that same season. By then it is often too late. This advice goes against the rest of the travel industry really, where we are all experts in last-minute booking. For paid work in Canada, that is not going to work. We get asked whether there is anything you can do to improve the chances of being successful in applying for a permit pretty regularly. Aside from you being eligible for a Canadian passport, there really isn’t anything you can do, other than being organised and entering the pool as early as you can. After that, it is a bit like a lottery and really down to the luck of the draw! With projects in 23 countries around the world, we are confident that we have at least one awesome alternative for people who are not successful in getting the IEC work permit. If you are dead set on going to Canada, you have a couple of options. One, take a second gap year and apply for the following year, and two, join one of our winter instructor courses in Whistler or Jasper. 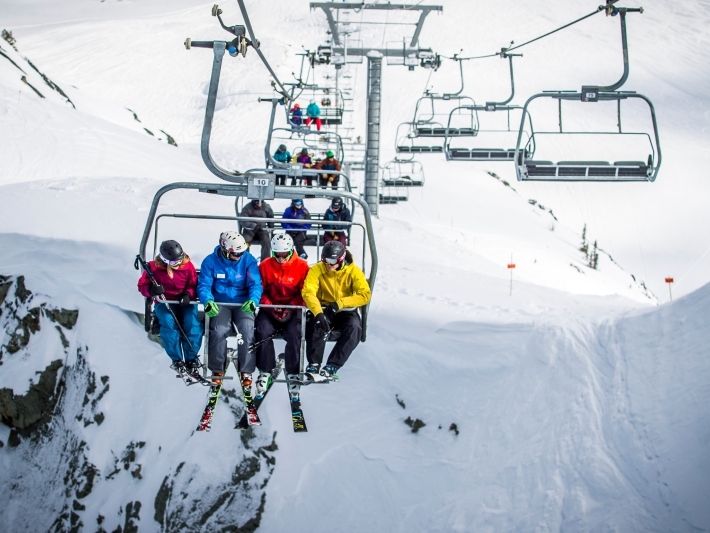 Head to Canada as a tourist and become a qualified ski or snowboard instructor! Each year we do have a few people who are not successful in getting the work permit. We work closely with them to make sure that we can offer a project that is going to be suitable. Over the years we have organised awesome gap year programmes from sports coaching in South Africa and ski instructing in Romania to working in the Australian Outback for those who have not been successful in applying for an IEC work permit. 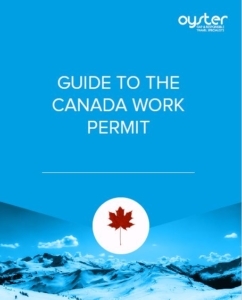 Know exactly what you need to do when it comes to applying for the Canadian IEC work permit and sign up to receive our FREE guide to the work permit application process. We will send you the guide and keep in touch to let you know when the permits are going to be available each year. Having read these points, don’t be put off from applying to work in Canada. The IEC work permit process is a bit of a pain but it is ultimately so worth the effort. Before long you will be enjoying your life in Canada and applying for the work permit will be a very distant memory. Starting in 2019, the upper age limit for Australian applicants to the IEC will increase from 30 to 35, giving even more Australian’s the opportunity to live and work in Canada! Since July 2018, new applicants to the IEC program from Europe will now need to supply Biometric data as part of their application process. As of 31st December 2018, applicants from Asia, Asia Pacific and the Americas will also need to supply Biometric data. After you submit your work permit application, you will receive a referral letter informing you that you need to have your fingerprints and photograph taken. You have 30 days to add this information to your CIC account. Biometrics have to be taken at a Visa Application Centre and you must book an appointment before hand. The cost of this appointment is $85.